Winter is almost gone (hopefully)! The reason that I’ve been so silent is exactly Winter! As all the Berliners know, February is a tough month. I had to escape two-week from cold Berlin and go into Sun. To where?! Lisbon, of course! And guess where I slept: Blue Terrace! I accepted one of my own Valentine’s Day tip and tried it out. I have to say: DIVINE! But let’s get focused! During these days I’ve thought a lot about new projects and one of my “vacation resolutions” was: is time to learn how to dance! Rock. Step. Rock. 4. 5. 6. 7. 8! 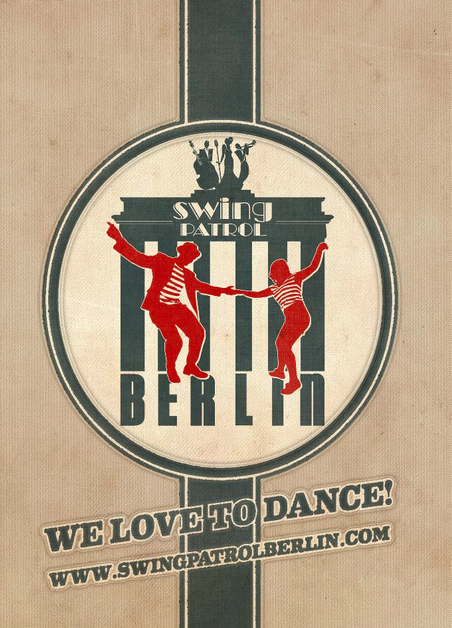 Every Monday from 19:15 at Volksbar Berlin, Swing Patrol organizes an event with a DJ. This Monday I was there. The best part is that before the event starts you can learn how to swing. Catarina and Marco, the teachers, are super fun. The class is divided in two levels: level 1, for absolute beginners, and level 2, for people who are a bit more experienced but are still beginners in a specific style. This time it was New Orleans style. The class was not only fun but super easy to do! I was able to dance a complete music in my first class. And I loved it! Once that I was a total beginner I didn’t dare to try the level 2 class, but you know what? Catarina, the teacher, encouraged me so much that I gave it a chance. For my surprise I was able to do it! Only in the end I had some trouble, but all went fine and dandy. Thank you, Catarina! Another thing that I loved in the class was that I didn’t have to come with a partner, I was there alone. The teachers ask you to change partner so often that by the end of the class you have already a bunch of new friends. I guess that’s why they call it social swing. Apparently this is a new trend in Berlin. It’s now so trendy that a German TV channel was there shooting a documentary about it. Here is everyone welcome! Even if you are not a dancer yet. Just drop by and have drink with us. Ask us if you have questions or just talk with us. Sometimes we show some steps just for fun. We are in the Bars to enjoy life, to dance and to socialize! And I was able to feel that. People came and ask me to dance. This way I was able to try out the new moves I’ve learned. I have to admit, though, that I still need to do some more classes! My performance was not that pleasant to watch. 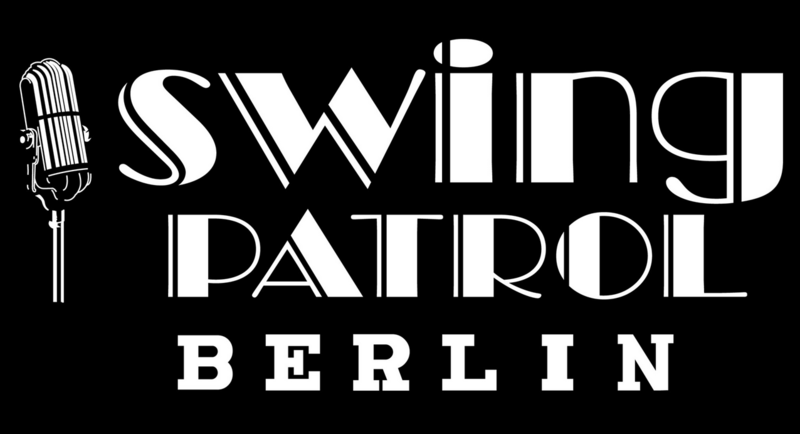 Swing Patrol Berlin organizes every Thursday another social swing event. 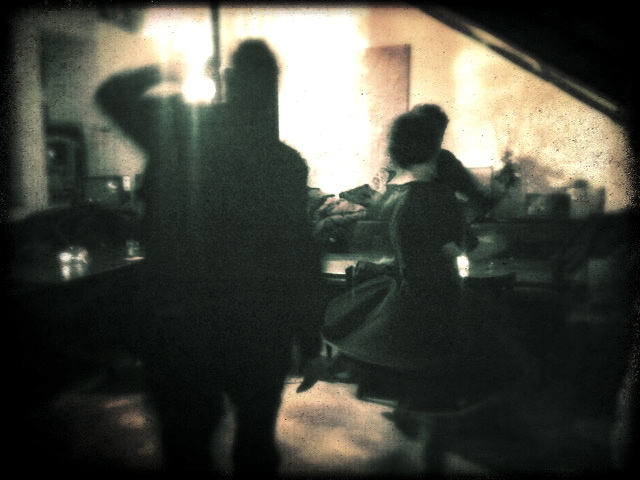 And again with classes before the real event starts: Swing & Wine – dance, drink & dine at Frannz. I guess I’ll come back to this social swing topic, once now I’m a bit more curious about it. But let’s leave it for another post, right?! Don’t forget to check their website for all the classes, prices and events! Will I see you next week at the class? I hope so!